Grate garlic with a microplane, or finely chop. In a small, flat dish mash garlic and 1/4 teaspoon salt into a paste with a fork or the back of a spoon, mash anchovies into garlic paste; set aside. Tie parsley, thyme and bay leaf together with kitchen string; set aside. 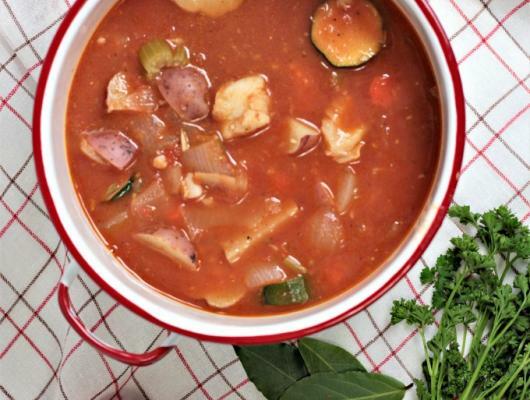 Add water, potatoes, zucchini, herbs and pepper; cook until potatoes and zucchini are tender, 25-30 minutes. With the soup at a simmer (not boiling) add fish and cook 5-10 minutes or until fish is cooked through. Remove herbs and serve. 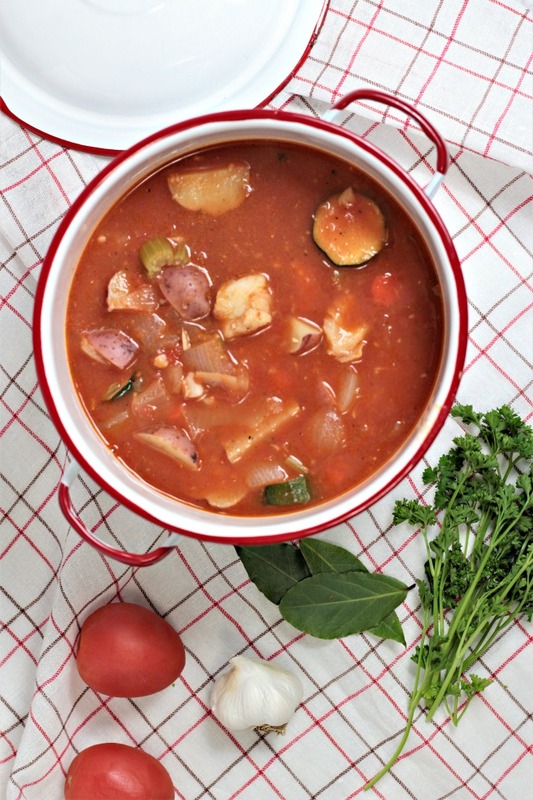 Mediterranean Fish Stew features cod, potatoes, tomatoes, carrots, celery, onions, garlic, anchovies, and fresh herbs. It is a flavorful and healthy dish.